Korean ambassador Choe Yong Jin on the potential for post-earthquake reconstruction, and the potential for tourism, trade and Korean investment in Nepal. 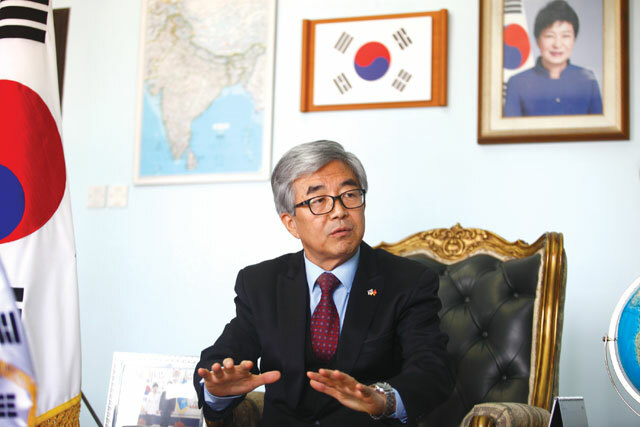 Korean ambassador to Nepal, Choe Yong Jin, spoke to Nepali Times about the potential for post-earthquake reconstruction, and the potential for tourism, trade and Korean investment in Nepal. Nepali Times: What is the priority in South Korean development assistance to Nepal? Choe Yong Jin: The South Korean government has designated 24 overseas development assistance countries, and Nepal is one of them. Mainly the assistance is through KOICA (Korea International Cooperation Agency) and the priorities were set by the two governments in health, education and agriculture. The volume of assistance has been increasing continuously since 2010, and currently amounts to $13 million a year. The Korean people feel more sympathy to the need of assistance to Nepal since the ties between Korea and Nepal has become stronger with more frequent people-to-people exchanges. How is the South Korean government involved in post-quake reconstruction? The Korean government immediately provided emergency relief supplies equivalent to $650,000 dollars including 640 tents, 2,400 blankets and dispatched 48 members of the Korean Disaster Relief Team and a medical team to Nepal. It also provided emergency financial support worth $500,000 dollars through the International Federation of Red Cross as well as UNOCHA. Furthermore, the Korean government pledged $10 million for post-earthquake rehabilitation of Nepal. It handed over 24 pieces of heavy equipment worth $1.6 million for debris clearance. The remaining money will be utilised to help rebuild a district hospital and health posts. The construction has been delayed due to the obstruction at the Nepal-India border and the delay in setting up the Reconstruction Authority. The facilitated transportation in border areas as well as the early set-up of the Reconstruction Authority is important to expedite rebuilding. I hope the current difficulties will end soon with the wisdom of all stakeholders involved. What has been the experience of Korean companies in hydropower projects in Nepal? I believe that the participation of the Korean companies will make substantial contribution to coping with the shortage of electricity in Nepal. Currently, Korean companies have been engaged in Chameliya Hydropower project, Upper Trisuli I and Upper Modi Project. If these projects are completed successfully, potential Korean investors will be more interested in investment in Nepal. But Chameliya and Upper Trishuli 1 are delayed. What are the issues? The big amount of electricity to be produced by Upper Trishuli I will benefit many Nepalis in future. The construction of the road leading up to the project will also give Rasuwa district access. It is now necessary to conclude the PDA as well as PPA as soon as possible to start construction. The negotiation between NEA and international consortium including KOSEP (Korea South East-Power Co) has lingered for a couple of years on the PPA rate. Given the urgency of the project and the international standard, it is high time for NEA to give more flexibility to the negotiation. As far as Chameliya is concerned, it was suspended due to a corruption scandal and several variations by a Chinese company. 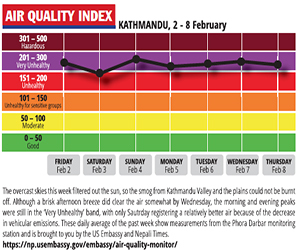 It is again being delayed due to the shortage of fuel and cement from India in Nepal. I hope that the difficulties will end soon. Are there plans to increase the number of Nepali workers in Korea? At present, 15 countries including Nepal are sending workers under EPS System. Nepal started to send workers based on the MOU signed between government of South Korea and Nepal in 2007. In 2015, Nepal received a quota of 5,300 which ranks second. Korean employers prefer Nepali workers, and if the rate of illegal stay is maintained at a low level more Nepali workers will get jobs in Korea. 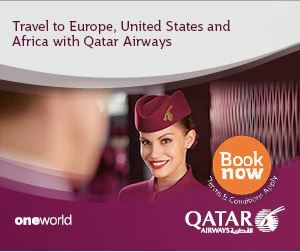 What potential do you see for tourism growth? There are 30,000 Korean tourists visiting Nepal every year, and this is increasing. The attraction for Koreans is not only because of Lumbini but also for trekking. Moreover, Korean Air offers direct flight between Seoul and Kathmandu twice a week. Koreans come here for pilgrimage and spiritual healing and they are drawn by Nepal’s natural and pristine beauty .